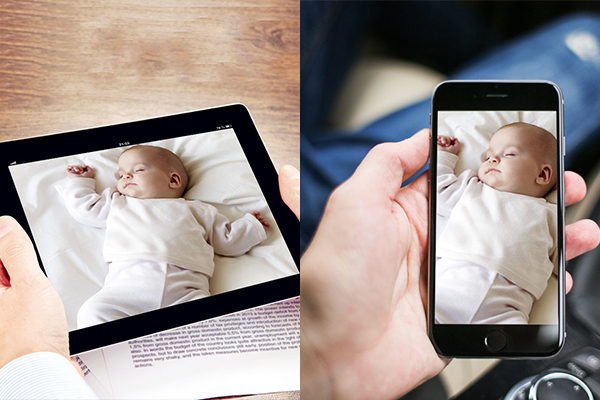 Thanks to technology, you no longer have to worry about what your baby is doing in another room. It used to be very troubling for parents to leave their kids alone and unwatched until baby monitors are invented. With the use of these handy devices, you can now keep an eye on your baby with ease from the comfort of your PC, smartphone or tablet. 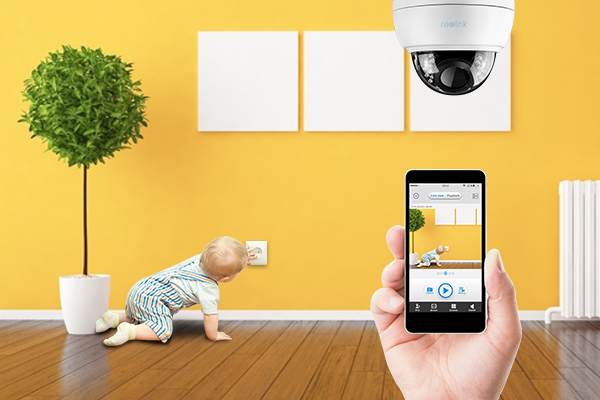 All you have to do is choose the most reliable baby monitor app with great functionality, and you never have to miss those precious moments again, even the scary moments. Part 1. Sound Monitor? Video Monitor? Movement Monitor? Which One to Use? There are various ways to ensure that your baby is safe and sound. 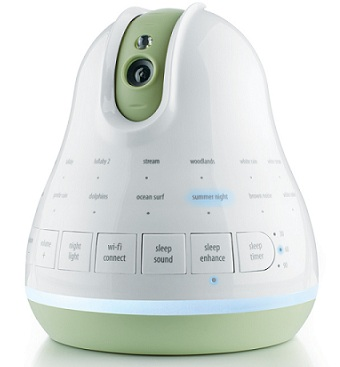 You can opt for systems that monitor baby’s movements, sounds or even just capture videos. First of all, check the diagram of the three kinds of baby monitor comparisons to help pick the top rated baby detectors. Highly sensitive, detecting even the slightest of movements, even when your baby is breathing. Alert the caregiver if movement is not detected. Bottom-line The most fundamental baby monitor you will most rely on. A practical one to view baby’s behavior to know if they are safe and sound. Prevent SIDS, yet controversial. While you know the basic points of the three baby monitoring devices, keeping reading the following to learn more details of each type. Monitoring the sounds that your baby makes is perhaps the most reliable and affordable way to keep an eye on your baby. Newly born children come with their own form of alarm mechanism. They typically cry every 2 hours at night to alert parents to change diapers. There is a great possibility that you would not hear some of these cries. Baby sound monitoring systems just ensure you are always there to hear it. You therefore need to get an audio monitor system that you trust and understand. When choosing audio monitoring equipment, sound quality is the most important factors you should consider. All monitoring systems would be quite useless if they do not alert the parents through sound, which is especially true to sound only baby monitors. So when you do different audio monitor comparisons and refer to audio monitor reviews, the best quality a sound baby monitor should have is that filtering out baby’s sound and background noise, and then carrying baby’s crying loud and clear to wake you from a sound sleep. Baby sound monitors are always simple to use. All you have to do is to place the ‘hearing’ mechanism in baby’s room and keep the “vocal” device in your own room. You must take note to ensure that both ends of the baby sound monitoring system are turned on. Video monitoring systems are another great way to view your baby on your iPhone, iPad, Android or desktop computer, and ensure that he or she is sleeping soundly, when you install its free video monitor app on your mobile devices. Whilst baby sound monitors exist to simply alert the parent when the baby is crying, a baby monitor with camera would provide the parent with video information on what exactly is making the baby cry in the first place. So when you buy a video baby monitor with cameras, the thing you are most concerned about would be the clear and true-color video quality. Usually a super HD, like 4K resolution would be OK. Apart from video quality, sound quality is also another important quality, which plays a key role in alerting parents to see the videos if the babies are fine. (2). 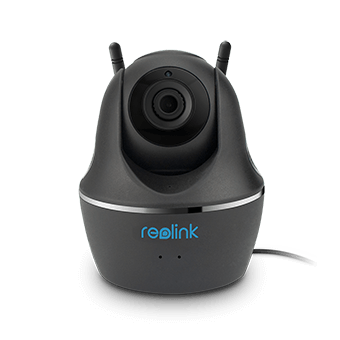 What About a Wireless Video Baby Monitor? According to many baby monitor reviews made by moms and dads, they would rather choose a video baby monitor with WiFi-enabled, which is easier for setup without drilling or running cables through the house. 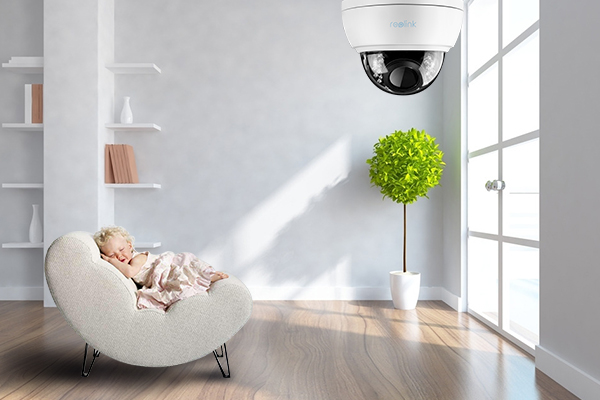 It is convenient, but on the other hand, WiFi video baby monitors hacked by hackers can be extremely dangerous, since hackers can spy on babies and parents remotely. So if you use this wireless baby monitoring devices, you should make sure it is hack-proof. Video baby monitoring equipment is very especially useful for parents that are teaching their children how to sleep without comforting. Babies often wake up at night and start to cry simply because there is no one in the room and they need to be comforted back to sleep. It is a great method for parents who are practicing self-soothing, but want to still be sure that the baby is sleeping well. It is of immense benefit to the parent to be able to check and see for sure that the baby is not in any harmful situation. Recently baby movement detector has been popular in many countries, like US, Australia, Canada. As its name implies, it is used to monitor babies’ breath mainly. (1). Is Movement Baby Monitor Necessary? Here comes the doubt, baby monitor with movement sensor, worth it? Parents often get worried about the most mundane things. A new mother could be in the kitchen and start to wonder if her baby is still breathing. While it is very unlikely that your baby would have stopped breathing, it is very essential as some monitors exist to alert parents if the baby stops moving. Then here comes the need for an infant movement monitor, or breathing movement baby monitor. These forms of monitors come with a sensing pad which is placed under the baby’s mattress. 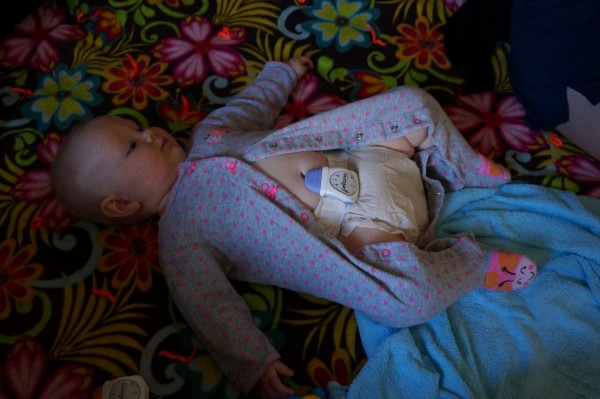 The pads are extremely sensitive and can alert parents if babies stop breathing. The pads are exceptionally smart at detecting vibrations and do not get put off by other vibrations in your room. (2). Movement Monitor for Baby, Really Prevents SIDS? At present, baby breathing monitors are still controversial. 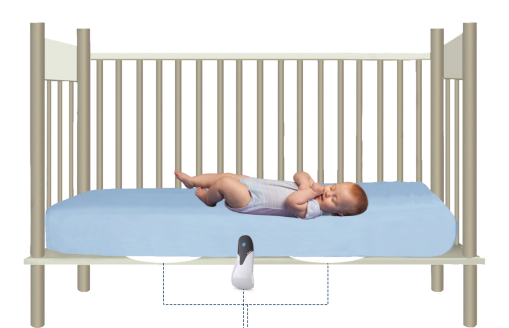 On one hand, according to their selling point, movement detecting monitors can be the best defense against SIDS. But on the other hand, there appears to be no scientific study available that validates that monitors such as the Angelcare actually reduce the risk of SIDS or sleep-related infant death. In 2013, CNN has reported news about Angelcare’s recall of baby monitors after 2 deaths. Baby monitors, to some extent, save lives, but you should not completely rely on monitoring systems to keep your baby safe. When going through baby monitoring systems, it is essential that you select one that covers all your basic needs. If you know that there is truly no need for a visual monitor, then you can easily make do with a sound monitor. However, if your baby is learning to self soothe, a video baby monitor is highly recommended. Now there are many baby monitors which support app remote access, so you see every precious moment of your lovely baby, through your mobile phone. You must also not go overboard when choosing a baby monitor in terms of pricing. Baby monitors are simple devices and should not cost a fortune. If you are not willing to break the bank, there are a number of great options for you. 3. Notice the Necessities, Like Battery, WiFi and etc. Be sure to take note of the necessities like battery life, Wi-Fi connectivity and others. These often seem like little things, but can prove to be quite frustrating when you realize the baby monitor doesn’t have a function that you really need. Baby monitors are a great way to ensure that your baby is safe and sound, also benefit yourself a lot. The more confidence you have in your baby monitoring system would give you better rest at night, and also a more peace of mind at work. This entry was posted in Buyer's Guide and tagged baby monitor comparison, baby monitoring, selection tips, smart home.